Holding up a mirror to America's underbelly: the last of the epic history painters. Later this year Robert Rauschenberg will have a retrospective at Tate Modern. An exciting prospect. But there’s another pioneer of neo-dada assemblage who probably won’t have one for some time to come, if at all. Why so? Ed Kienholz (“who?” is often the response), is not so critically acclaimed as his late East Coast contemporary, but one reason for his exclusion may simply be that his immersive assemblages are simply too vast, too ambitious, and thus too much of a risky effort to stage. It would take a brave museum director to put on a show of an artist who’s admittedly become a somewhat disputed name and marginal figure in the canon of postwar American art, even though we see his influence in the grungy LA art scene that later emerged in figures such as Paul McCarthy and Mike Kelley. Those in the UK who do know his work will no doubt have encountered The Hoerengracht (translated as ‘whore’s canal’ in a play on Amsterdam’s Herengracht, or the ‘noblemen’s canal’). Staged at no less a venue than the National Gallery in 2009, and prefaced by some 17th-century Dutch paintings of coy prostitutes, this work invited you to take a stroll through the narrow streets and steamy alleys of Amsterdam’s red-light district. Peeping through dirty lace curtains, window sills arrayed with tacky knick-knacks in a jarring display of cosy domesticity, and encountering the mannequin-headed plaster body-casts of working women (actually casts of friends of the artist), visitors were invited in as complicit voyeurs. 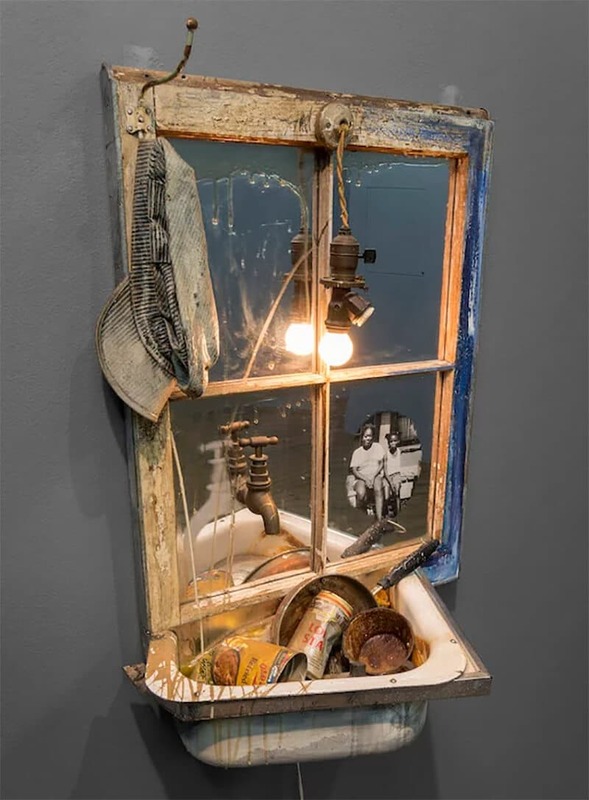 The Hoerengracht was made in collaboration with Kienholz’s wife Nancy Reddin Kienholz, with whom he’d lived and worked since the early Seventies until his death in 1994. As a duo they became known simply as Kienholz. The work at Sprüth Magers, a small space of just two very small rooms, plays host to what the artists called drawings, though they are in fact mostly preparatory models or ideas for larger mise-en-scènes, or simply offshoots from those expansive creations. From these few scattered samples, it’s difficult to get an idea of the impact of Kienholz’s elaborate, highly detailed set pieces, or their almost theatrically baroque nature. Instead you are drawn back to their avant-garde, proto-Pop Dada roots. Drawing for Barney’s Beanery, 1971, for example, looks like a carpenter’s offcut – a torn strip from a door, still with the number 65 on it. One would hardly connect it to his best-known work, The Beanery, from the mid-Sixties, a walk-through blue-collar diner, narrow as a ship’s galley, with its surreal, clock-faced customers. What is obvious, however, is how deeply political and moral these works are. This is art that doesn’t reject the everyday moral sphere but is deeply embedded in it in a way that embraces straightforward narrative. 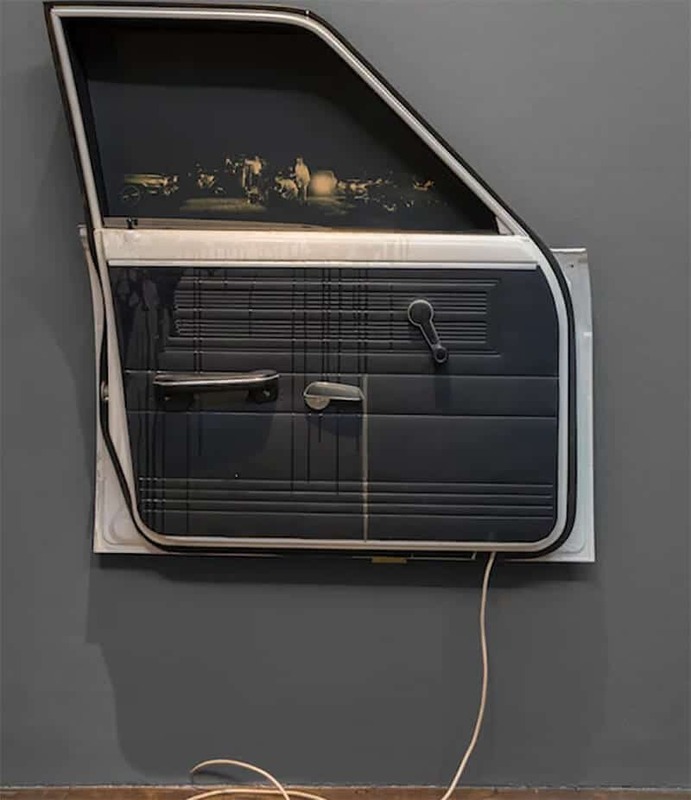 In Drawing for Five Car Stud, 1969-72, a car door has had its window replaced by an inky-black photographic image. It’s difficult to read exactly what’s going on, but there’s certainly an air of menace here. You know something bad is happening on that stretch of dirt road, with its circle of cars and huddle of threatening yet indistinct figures. 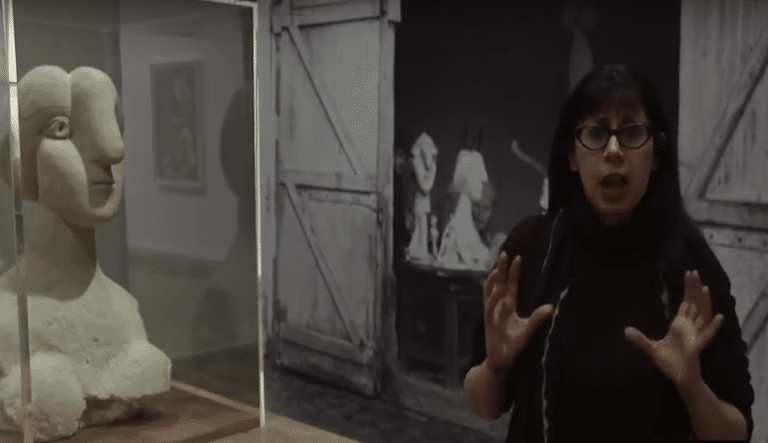 The piece is related to Kienholz’s life-sized tableau, Five Car Stud (watch video below), which involves us in a scene of horrific racial violence: a black man being castrated by grotesque clown-faced perpetrators. The headlights of four cars and a pick-up illuminate the scene. In this smaller piece, the viewer confronts the scene from the point-of-view of the victim’s companion, a white woman. A lit-up fragment of mirror wedged between window and door casts an intense silvery glow. In a less fraught, and almost picturesque work, Drawing from Merry-Go-Round, 1990, a gloop-stained mirror replaces the glass of a rickety window frame. Attached to the window is a filthy sink filled with empty beer cans. A naked light-bulb hangs above it (that solitary Philip Guston motif), while one mirror-panel displays an image of two black kids sitting on a raggedy porch. Posing for a portrait, they look happy and carefree, in contrast to the squalor they must call home. Illustrating America’s underbelly, Kienholz may have been the last of the epic history painters, at least for a while.